Making movies isn’t easy, but the 50 Hour Slam adds even more challenges to your standard guerrilla film shoot. It’s not enough that the participating teams and have just two days — well, technically, two days and two hours — to write, produce and edit a short film. They also have to follow certain criteria, cleverly incorporating specific props, locations, lines of dialogue and actions into the finished product. This year, the Slam teams had to involve the new skating ribbon in Riverfront Park and the nearby runners sculpture, and they had to mine a piece of local art for visual and dramatic inspiration. Filming happened back in March, and now you can see the results of all that hard work. 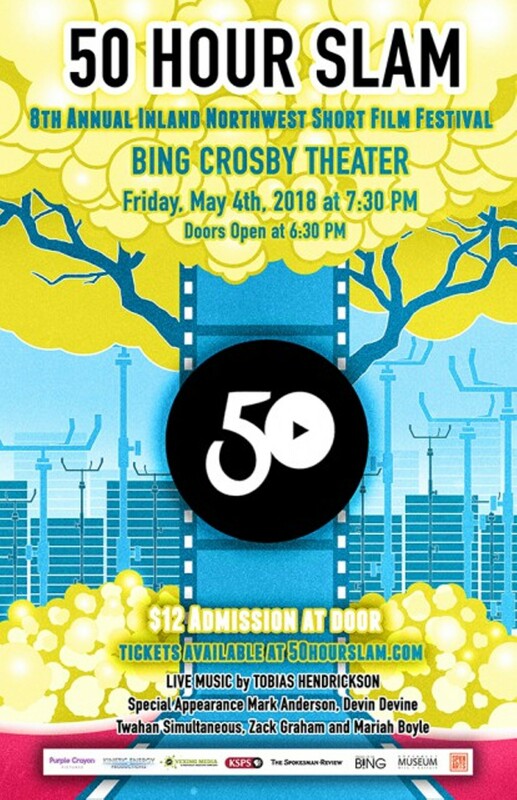 A panel of judges selected the top 15 of 41 submitted shorts and they’ll screen at the Bing on Friday.